UPDATE 2/19/19: I have some super exciting news to share. 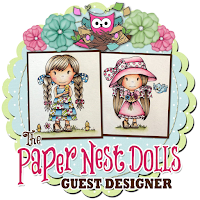 I will be guest designing with Paper Nest Dolls for the next three months. Shortly after I posted this card on Feb 9th, Christine invited me to be a Guest Designer. Woohoo!! I created this Valentine's Day card for my son's teacher, using Lovestruck Lulu from Paper Nest Dolls. 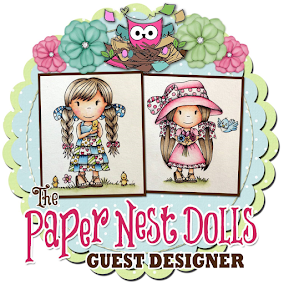 A couple of weeks ago, the owner of Paper Nest Dolls, Christine Young, contacted me out of the blue on Facebook Messenger saying that she would love to see me color one of her images sometime. 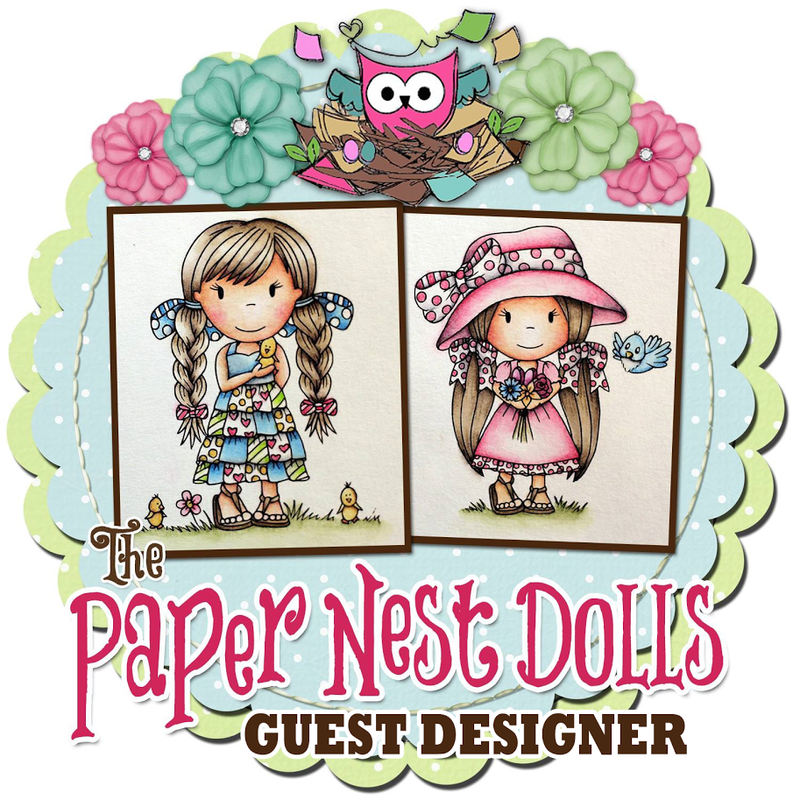 I didn't have any Paper Nest Dolls in my stash so she actually sent me 3 digital images! It was totally awesome and I am forever grateful for her generosity. The images were absolutely adorable --- including this one --- and I can't wait to share an Easter card with another image later this month. For this card, I used patterned cardstock from my stash for the various layers (which also inspired me to go with a pink and blue color scheme) and I popped Lulu and the sentiment strips up with foam tape. I love how the heart hangs off the edge. The sentiment was stamped on coordinating cardstock and cut into strips. The second sentiment actually says "my favorite person" but I tucked part of it behind the image to hide "person". I also used part of a hexagon punch to trim each strip at an angle. 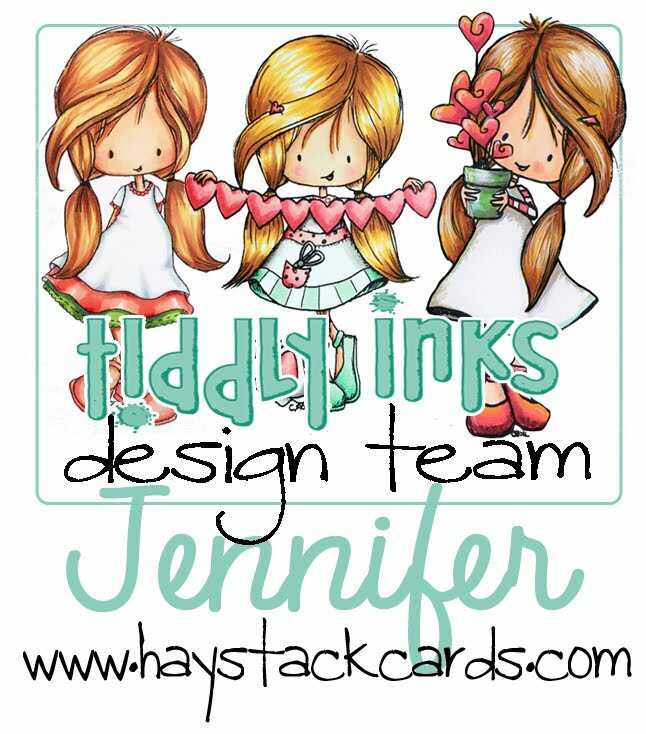 I also plan on entering this card into the Paper Nest Dolls current challenge since the theme is "love" for February.